Parting is such sweet sorrow, and after getting to know Commander Shepard and company for more than five years now, it will be hard to say goodbye. Citadel, BioWare’s last confirmed DLC for Mass Effect 3, is a really nice parting gift for all avid Mass Effect fans. With tons of goodies to obtain, a unique story arc and some of the best dialogue in the entire series, fans looking for one last perfect adventure are hard-pressed to not give this DLC a try. 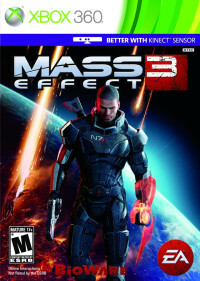 The DLC begins with Shepard and his crew on shore leave at the Citadel when mysterious mercenaries start shooting up the place. 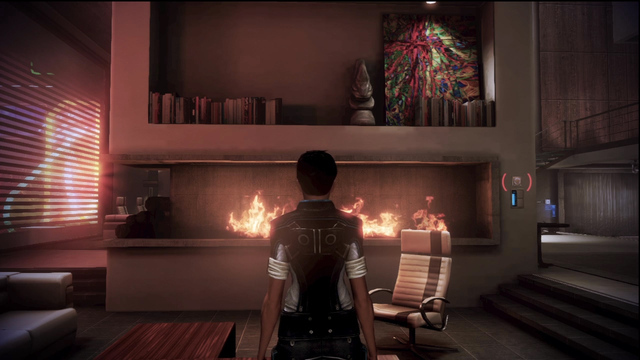 After the dust has settled, Shepard returns to his newly acquired posh apartment to search for clues as to who wants him dead. The search for answers leads to some neat sidequests, like infiltrating a casino on the Citadel’s Silversun Strip to find the arms dealer who supplied the mercs. Once inside the casino, Shepard must use biometric scanners to disable cameras and distract guards while his teammates enter the vault. Like a new band of space thieves, this particular mission felt very “Ocean’s 11", which was a nice little diversion from constantly killing enemies. These random and downright goofy moments that BioWare put there to entertain the fans make Citadel so fun to play because you never know what will be said at any given moment. Even the segment in Shepard’s apartment where tensions are running high after finding out the location of a high value target are soon cooled down when a wary Volus enters to deliver a pizza because someone on your squad had the munchies. While the main mission itself is relatively short (you can complete it in 3-5 hours), the final mission that has you fighting inside the archives of the Citadel rivals some of the best firefights in the entire series. Not only do you get to treat yourself to some cool Mass Effect lore with audio files and holograms reenacting scenes from history, but you get to fight alongside every person in your squad at once. The sheer depth and volume of this mission is only on par with the suicide mission at the end of Mass Effect 2. 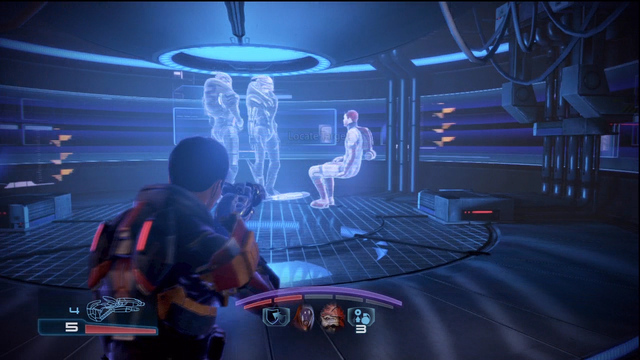 At one point in the mission when my three-man team was cornered with no way out we were saved by an entire battalion of our remaining squad members shooting waves of bullets from above – a treat that sadly was rarely seen in the rest of the Mass Effect games. After the main mission is complete you can still spend plenty of time wandering around the Silversun Strip, a ritzy neon avenue that is home to an arcade, battle arena and even a casino. All of these new places really only serve to give fans a place to waste time since you can only win credits or furnishings for your new home, but they are fun to check out anyway because the arcade games are pretty cool. For kicks, check out the holographic racing game with a contestant called C-SEC Biscuit. Hanging around the Silversun Strip also lets you check in on your squad, which leads to some hilarious moments, from Javik shooting a low-budget movie to helping Garrus pick up a date. Everything is wrapped up nicely with a huge party at Shepard’s new digs, where you can interact with everyone who got invited and even engage in more sexual encounters if you so choose as well, all of which is topped off with a picture of everyone there. It’s a fitting end to the adventure and a way for BioWare to say thanks for taking part in the series for so many years. Citadel is merely fan service by BioWare to end things on a good note. While the main story itself is really short, the hilarious dialog and countless extra activities you can engage in are well worth the price of admission. Six years, hundreds of hours and countless stories told, Mass Effect has come to an end and fans that are looking for one last swan song will be pleased with what Citadel has to offer.